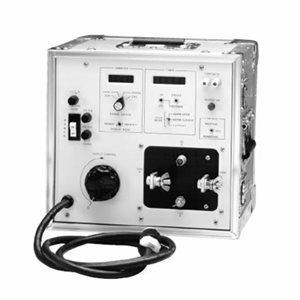 The CB-832 test set is a high-current circuit breaker and overload relay test set. Model CB-832 is designed to test the circuit breaker and overload relays by means of primary current injection. Model CB-832 is a self-contained test set that incorporates a variable high-current output and appropriate control circuitry and instrumentation for testing thermal, magnetic or solid-state motor overload relays; molded-case circuit breakers; and ground-fault trip devices.